It’s been pretty rainy here in Taipei for the past couple of days as Typhoon Trami heads our way, but here in the capital there’s tonnes to do – even if it’s bucketing down water outside. Yesterday the family and I went to Nanshan Second Chance Cinema, a cinema which shows films that are out of main cinemas but not on DVD yet. Not only that, but the tickets are only £3/140NT for a full day of films. You can see any of the eight films being screened, bring in your own food and drink, and there’s even a disgruntled woman at the door who gives you a stamp to go out, dine and return again! Pretty neat. Nanshan’s a bit grotty outside, and the seats aren’t as plush as a normal cinema, but the screen definition and sound in the theatres is good; the larger theatres are the upstairs ones, and as long as you don’t mind perhaps more rustling than usual, it’s a fab rainy day retreat. 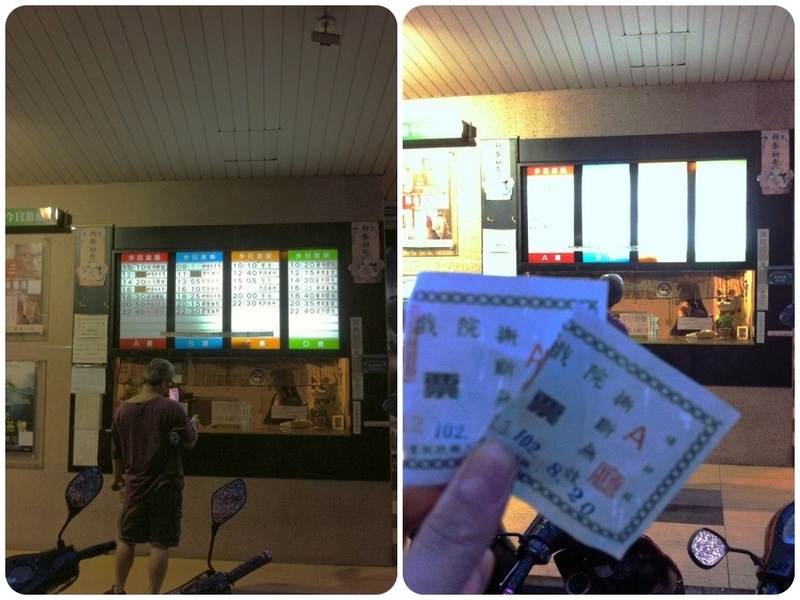 The cinema itself sells the usual popcorn and sweet treats, the nearby restaurants are cheap (of course, there’s a 7 Eleven on TongAn Jie) and don’t be shy about take a steaming pot of noodles into the theatre! We went for the one showing, and saw Star Trek: Into the Darkness, as we’ve all been indoctrinated as Treky fans in our house. I recommend to plan ahead if you want to make a day of it – the later showings and blockbusters are more popular, so be prepared to queue. Top tip: watch the film prior to your blockbuster in the big screen upstairs! Air-con’s fairly chilly, so bring your cardi, your food and of course, your own loo roll (it is Taiwan, after all). Glasses on, Malt Milk at the ready! Taiwan: 烏石港 WuShiGang Surf Spot!